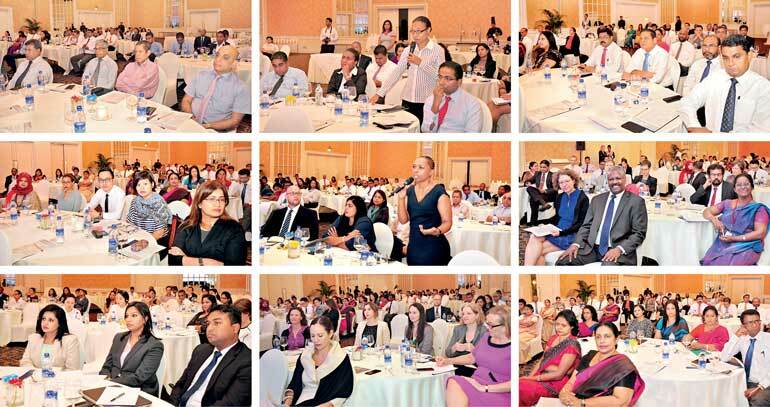 The IFC-Central Bank Policy Forum themed ‘Exploring the Women’s Market in Sri Lanka and Beyond’ recently discussed and unveiled the many opportunities available for women in the business sector while highlighting the importance of female participation for financial inclusion. The forum invited several regulators and financial institutions from across the world to explore strategies that have moved the needle on women’s economic empowerment globally. Likewise these officials shared their insights on the challenges and solutions on women’s financial inclusions, how to reach the ‘missing middle’ and the value of female participation in the economy. He stated that financial inclusion is the process of nurturing habits of using financial services available from the formal financial sector institutions. However among countries such as Sri Lanka, the financial inclusion of women is relatively low. At present financial inclusion is considered as a key link between economic opportunity and economic outcome which leads to improving all living standards. She noted that the main reason for the lack of women participation in the labour force was 77.3% being heavily engaged in family work but only 23% households are headed by females. Likewise in banks 12.6% of board directors are women while only 18.5% of the key management staff are women. Thereby, Dr. Perera emphasised on the fact that women participation in all sectors was extremely low. A panel discussion moderated by IFC Sri Lanka and Maldives Country Manager Amena Arif invited Dr. Perera, Bangladesh Bank Executive Director Abdur Rahim, GBA Chief Executive Inez Murray and Prime Minister’s Office Economist Dr. Nandaka H. Molagoda to share their perspectives on financial access for women and the lessons to be learned from the region. He also highlighted the fact that women’s empowerment is no longer an aspiration but is a mere possibility. In Bangladesh access to finance for women and reducing gender inequality are highly prioritised. “It is important to learn about policies, to support women to be fully economically empowered and to share and learn about the commercialised strategies to target the women’s market. We know that the way to succeed is to have access to financial education and recognition and to make women know of these things,” noted Murray. Many of the GBA members are deeply involved in Government regulations and work towards financial inclusion and support women as a voice of the private sector. Partnership and collaboration are crucial when it comes to changing the lives of women by empowering them to do more, she stressed. He said that the Government was working towards building day-care centres so that mothers know that their children are in a safe environment when they go to work, training women for vocational centres and so forth in Kurunegala, Gampaha, Galle, Kandy, Matara, Hambantota and many more. They are also looking at initiatives on safety for women in public transportation. The forum also invited SANASA Development Bank Chairperson M.S. Kiriwandeniya, European Union Delegation in Sri Lanka International Development Manager Fabrizio Senesi, Australian High Commission ‎Head of Development Cooperation Victoria Coakley and HNB Grameen Finance Director Hasitha Wijesundara to share their perspectives and viewpoints on financial inclusion of women within their organisations. “At SANASA Development Bank, the journey of women’s empowerment began before the bank. The bank began in 1978 when 60% of the population was considered to be poor and dependent on State subsidies. SANASA began with an education process initiated to encourage people to organise themselves around villages to transform the conditions that they live in by working together,” noted Kiriwandeniya. He stressed on the fact that most of the union’s projects here in Sri Lanka were focused on gender sensitive topics and issues. She believes that if you empower a woman, you empower her family, her community and ultimately her nation. Gender equality across the world is very important when it comes to the success of a country’s economy and values as a whole. “Empower the women more than financial inclusion. Skills development, access to finance, technology transfer, capacity building, vocational training and creating quality social norms are all crucial components when it comes to empowering all women,” said Wijesundara.